What is The Sims 3? 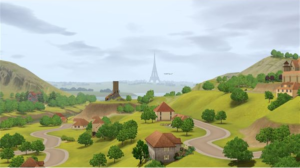 First released in 1999, The Sims was a popular game by designer Will Wright (Sim City) in which the player controls one or more Sims – simulated life forms – and makes sure that they are provided for, use the bathroom and get jobs. So popular was the game that it has spawned 2 sequels, the most recent of which is 2009’s The Sims 3. One of the launch titles for Windows Phone 7 was The Sims 3, which is one of several Xbox LIVE games available for the platform where your mobile progress contributes to your Gamerscore. How does the mobile game compare to the full version, and that of other mobile platforms? More importantly, is it worth the £5.49 price tag? The Sims 3 for Windows Phone 7 puts you in charge of a Sim that you can create, dress and name, in order to give them the life that they want by fulfilling their various dreams and aspirations, which are organized in list form. These dreams and aspirations can be achieved by getting a job, learning to cook, meeting people – pretty much anything you would normally do in a Sims game – and fulfilling them will improve your Sim's happiness. 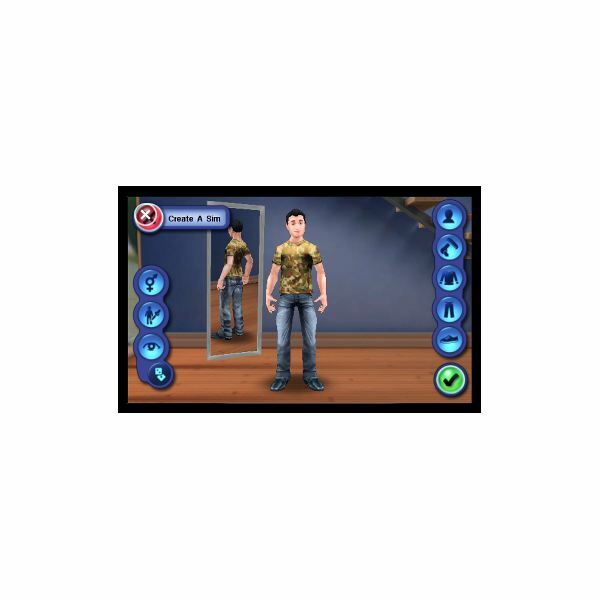 The user interface is easy to use and harks back to the full desktop game – however, there is a problem with the camera which can make it very different to scroll around your Sim's house or indeed the suburb where they live. Soundwise, the game is what you would expect, with your Sim happy to talk to other inhabitants of the suburb with typical gusto. However, despite the issues concerning control of the camera it is the graphics that really shine here, being superior (on the HTC HD7 at least) to those seen in the very first Sims game back in the 1990s. Camera control issues cannot distract from the fact this is a very good looking game, with an attractive UI and well rendered characters and objects. If there is a downside it is with the exterior scenes, which portray your Sim wandering around the town like a peg around a gameboard. It looks cheap and out of place, and will hopefully be improved at some point. Like many (but not all) Windows Phone 7 Xbox LIVE games, The Sims 3 is quite expensive for a mobile title, retailing at £5.49. This naturally includes free updates to the app to resolve performance issues, although there is no refund available with Windows Phone 7 Marketplace products. In many cases this shouldn’t be a problem; however, several users have reported that The Sims 3 regularly fails to load a saved game. This is clearly an issue, and one that has been reported repeatedly across several handsets since December. As yet no fix has been forthcoming. The laughable exterior scenes aside The Sims 3 Windows Phone 7 game is a competent port of the game, featuring all of the expected elements and a mostly usable control system. However, a lack of stability in the game – notably with restoring saves – leads you to wonder if any of the feedback on the Windows Phone 7 Marketplace is actually making it back to the developers. Hopefully the impending Windows Phone 7 update in Q1 of 2011 will resolve these problems, but if not and with the current pricing/refunds model persisting, The Sims 3 could be one of the big gaming failures of Windows Phone 7.